Jazeman Jaafar is less than two months into his race season and has already notched up two milestones, with his first win in the British F3 Series and a maiden victory in the F3 Euro Series. 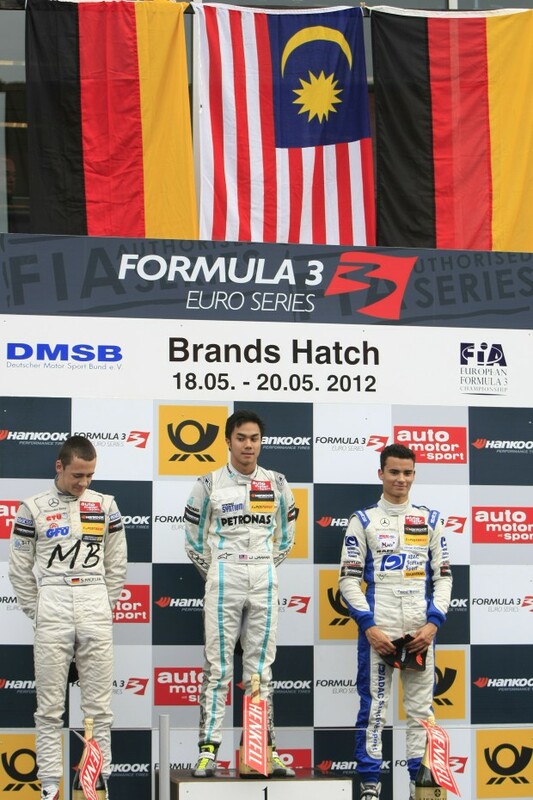 As he heads to Red Bull Ring in Austria for his second guest race weekend of the F3 Euro Series, the young Malaysian driver is hoping to continue in a winning way. The 19-year-old driver has had little time to reflect on his recent win, with a British F3 test straight after the Brands Hatch F3 Euro Series event, then a quick trip to Monaco for the Formula 1 Grand Prix, with the added bonus of seeing Mercedes AMG PETRONAS Formula One team take second place, with Nico Rosberg claiming his second podium finish this year.